Sometimes the smartest people are the greatest blunderers! William Thomson, 1st Baron Kelvin was a significant 19th century scientist who is widely known for realizing that there was a lower limit to temperature; Absolute Zero. The Kelvin Scale is named after him. In 1896, Kelvin stated: "I have not the smallest molecule of faith in aerial navigation other than ballooning"; an idea that numerous scientist of his time agreed with. They were all proven wrong in 1903 with the Wright Brothers' historic first flight. 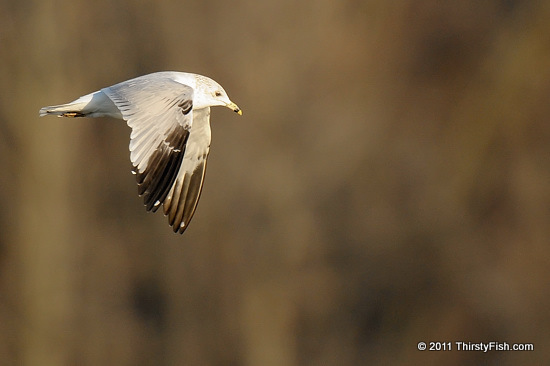 All they had to do was to observe how effortlessly this gull flies! Epistemology is a branch of Philosophy that is concerned with the nature and limitations of knowledge.